This weekend we have a few open houses – in Fort Caroline & in Oakleaf. Please come by and tour these beautiful homes this weekend. We have wonderful agents available to assist you and answer any questions you may have. 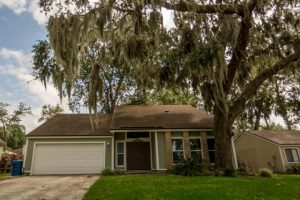 Beautiful Split-Plan 4-BEDROOM home located in the desirable Jacksonville, Florida area of St. Johns Landing. The homes in Riverwood’s go fast in this little piece of paradise just minutes from shopping, dining, I-295, and the St. Johns Town Center. Great floor plan with a separate living and dining room, large family room, large open kitchen with a huge master bedroom. The master bath has dual vanities with large granite countertops, garden tub shower combination. There are 3 additional spacious bedrooms, 2 baths, and a large backyard. The kitchen features granite counter tops, large breakfast bar, eat-in space, closet pantry, recessed lighting and high end appliances. This home has gorgeous porcelain tile in the front living room and has a new roof installed in 2011!New a/c 2010! 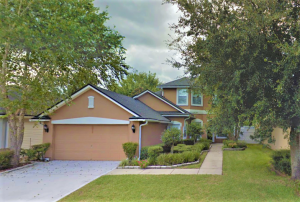 This spacious home is located in the conveniently located and highly coveted Timberfield at Oakleaf Plantation neighborhood, within walking or bicycling of the neighborhood schools, swimming pool, soccer fields and play areas. The home has a large dining room, kitchen, breakfast nook and family room. The home features a spacious owner’s en suite on the first floor. The second floor has a spacious multipurpose room, large bathroom and three bedrooms. The property features an intimate, low maintenance garden yard with a privacy fence.